Learn how this unique embodiment method came to be. UZAZU began over 17 years ago as the personal quest of a professional dancer & musician who was determined to find ways he could use voice & movement to cultivate more positive thoughts, emotions and relationships in his life. Several government research-grants, hundreds of workshops, and thousands of 'participants' later, UZAZU has grown & evolved into one of the most practical and effective personal development & 'state shift' techniques within the rapidly growing field of Embodiment Practices. In 1998, future UZAZU-founder Dylan Newcomb was, in many respects, a happy and successful creative artist. 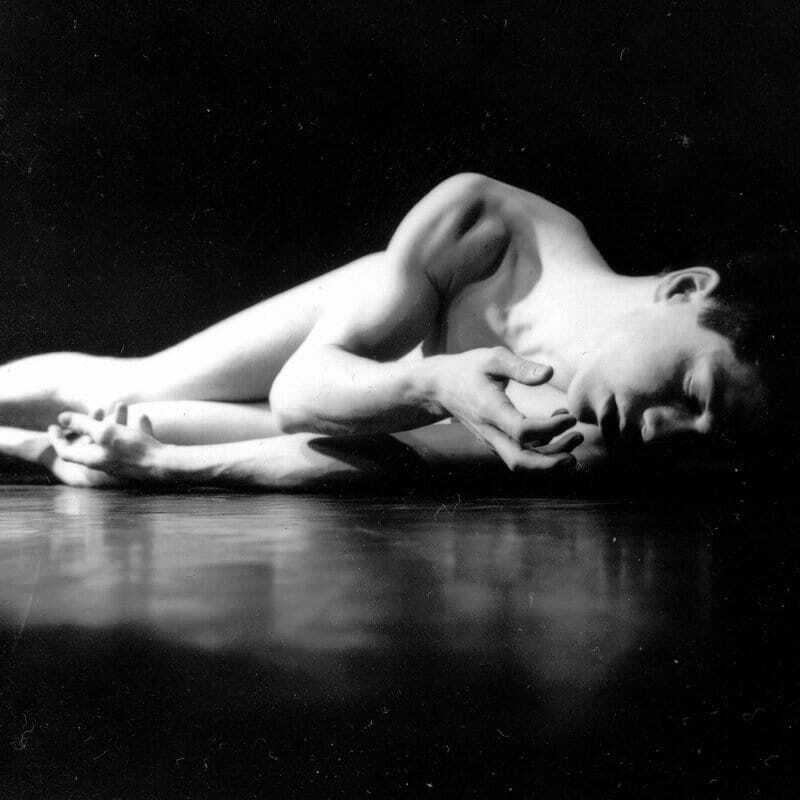 Everyday, as a dancer, choreographer and composer living in The Netherlands, he got to do something he loved and be appreciated & well-paid for it. But despite this apparent ‘success’, he became more and more disgruntled. Once out of the studio or off the stage, Dylan noticed the positive feelings of ‘being fully in the zone’ would often tend to fade away. And, not unimportantly, he found that much of his professional skill with Music & Dance seemed to be not translating over into skillfulness in his personal life—with how he managed his own thoughts, emotions and close relationships. This stark contrast between his professional and personal life brought him to ask: "Is there a way I can also use sound & movement to help me with the main 'life challenges' I'm experiencing, like moving past my negative thoughts & judgements, making more effective decisions, and having better, happier relationships?" To their surprise, they found that: As articulating each vowel sound causes the mouth & throat to move in a specific way, it causes the entire body to want to move in a very, similar way, like a larger fractal of the same movement pattern. And this 'doubling-effect' of vocal and bodily movement tends indeed to quickly stimulate specific feeling states or ‘moods’, which then also makes one more likely to behave & interact in certain ways. More similar research grants then followed over the next few years. 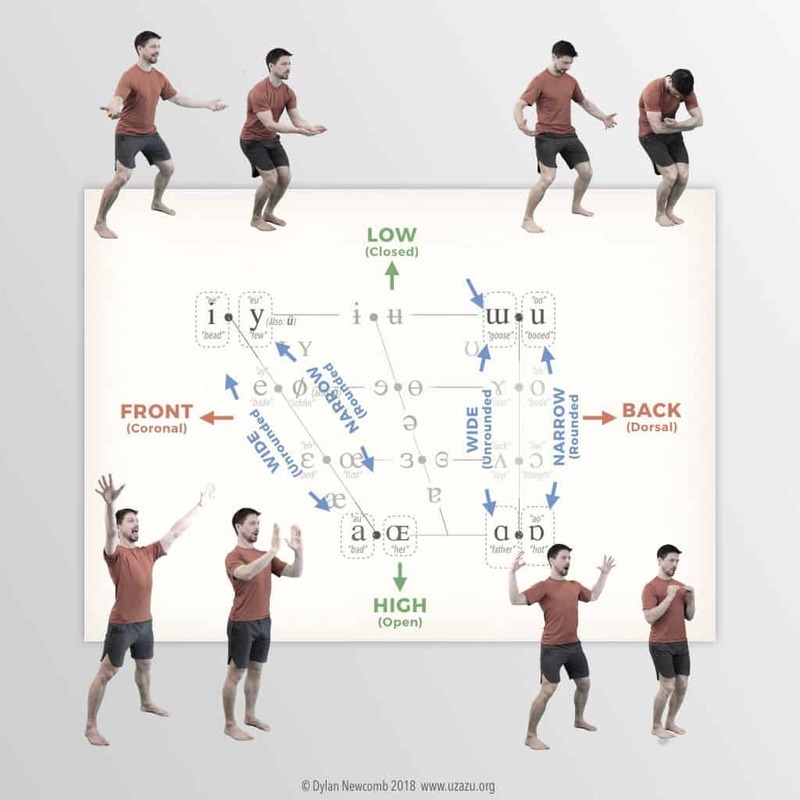 And Dylan investigated more in-depth how this powerful voice-body movement & thought-feeling-behavior connection played out across different ages and cultures. It became very clear, for example, that people exhibit strong individual differences in which vowel-movement patterns they feel more comfortable doing, and this is consistently reflected in the kinds of thoughts, feelings, and behaviors they manifest. So these vowel-movement combinations were studied in relationship to various existing models of both Personality Type and Developmental Stages. This revealed striking insights into the the non-cognitive, embodied-somatic roots of personality & behavior, as well as what kinds of movements and 'patterns of embodiment' support growth (or re-integration) at which developmental stages. In this seminal period of constant research & development, a core body of 'embodiment practices' emerged that appeared to significantly help people quickly open up to and consolidate new pathways of feeling states and behaviors. During it’s initial research and experimentation phase, ‘UZAZU’ was developed by Dylan within the dance & music world and was primarily funded by research grants from Dutch cultural institutes. But the locus of this activity gradually shifted from 'the arts world' to the world of Personal Development and 'the embodiment scene'. The first formal presentation of UZAZU outside of the arts world was in 2008, in The United States, together with key collaborator Peter Merry (who, at the time, was Director of the Center for Human Emergence in The Hague) at the Integral Theory Conference in JFK University. Following a well-received presentation of the research and a short workshop, invitations to teach workshops started coming in from various human development organizations around the world. Over the next 3 years, over 100 workshops were taught across 3 continents, 2,564 ‘UZAZU practice DVDs’ were sold, and UZAZU grew into a unique & potent new option within the landscape of ‘Embodied Practices’. In 2010, responding to people’s desire to embody the work more deeply, and to use it professionally with others, Dylan trained and certified 10 UZAZU group class teachers and then, in 2012, certified 18 UZAZU Embodied Change Facilitation Coaches. But that same year, Dylan became both husband (to Kyung-sun Baek) and father. The new family moved from the Netherlands to the countryside of Freeport Maine, USA (close to where Dylan grew up) to raise their new daughter Kiana. A heavy touring & teaching schedule just didn't seem right so, for the next four years, Dylan focused primarily on 'family nesting', while further developing UZAZU within the context of his own private coaching practice. Working one-on-one with private clients over longer periods of time gave Dylan the opportunity to deepen UZAZU's effectiveness with a wide range of topics, from life-purpose to re-patterning limiting beliefs, to working with family systems and marital dynamics to integrating early-childhood trauma. In tandem to this period of intensive 1-1 applied research, Dylan immersed himself in intensive additional study in the UZAZU-related fields of Embodied Cognitive Neuroscience, Polyvagal Theory, Phonology, Dynamical Systems Theory, Personality Theory, and Developmental Ego Psychology. This 'inward turn' for the modality turned out to be surprisingly healthy for the further maturation of both UZAZU's underlying theoretical clarity and the depth and effectiveness of it's embodied techniques & practices—leading to the birth of what Dylan informally refers to as 'UZAZU 2.0'. The winter and spring of 2018 marked the public re-emergence of UZAZU as an easily learnable embodiment method and daily practice form. Throughout the first months of 2018, Dylan conducted ‘beta-test’ workshops on different groups of people, testing & validating it's various accompanying self-assessments. 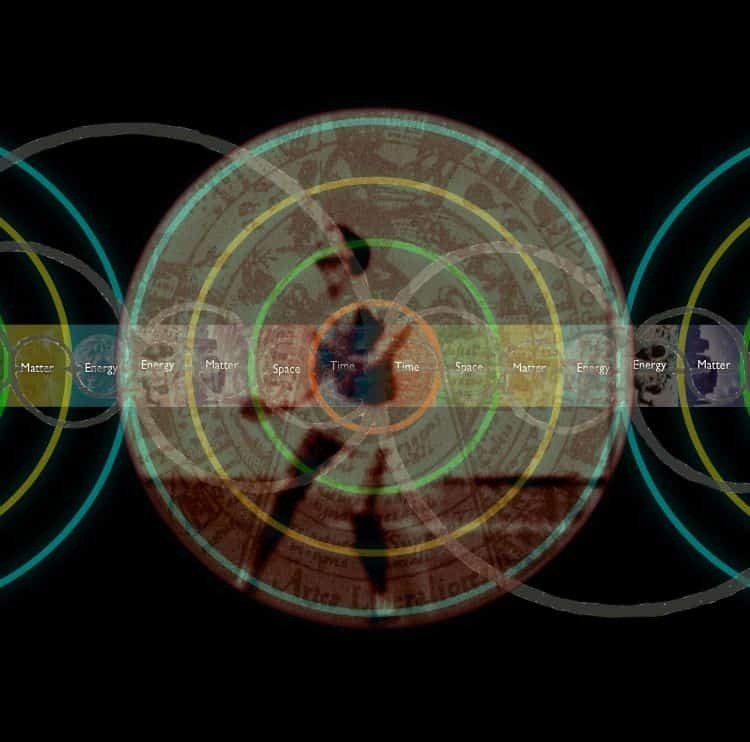 In late May, Dylan launched the first complete online course for learning and practicing UZAZU in over 4 years: The Foundations of UZAZU Dynamic Embodiment. 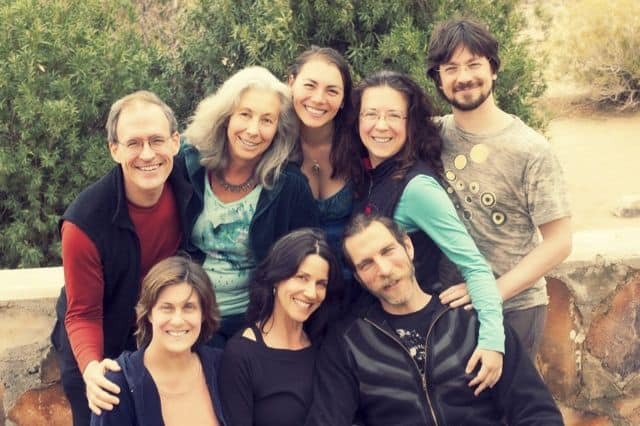 This in depth, highly interactive 12-week course guides people through a simple-yet-compehensive approach for how to consciously 'use' your embodied awareness to live in deep, grounded and joyous connection with your self and others. In the second half of 2018, Dylan launched version 2.1 UZAZU via the second full iteration of the 12-Week online course and taught his first live UZAZU workshops in almost five years, namely in Amsterdam NL, Paris FR, and Brighton UK. UZAZU Certification trainings, for personal development professionals interested in using UZAZU with clients, will be offered again as well— starting in Summer 2020. The 12-week online Foundations course, as well as attending a live 2+ day UZAZU workshop with Dylan, will be among the pre-requisites for signing up for the upcoming certification training. Other key upcoming projects include: The further refinement and validation of the various written and body-based UZAZU assessments of Emotional States, Personal Values, Career Interests, and Behavioral Traits. And the development of an online suite of various daily UZAZU practices to support both optimal performance, relational intelligence, and deeper healing and integration. Experience uzazu in a FREE webinar! 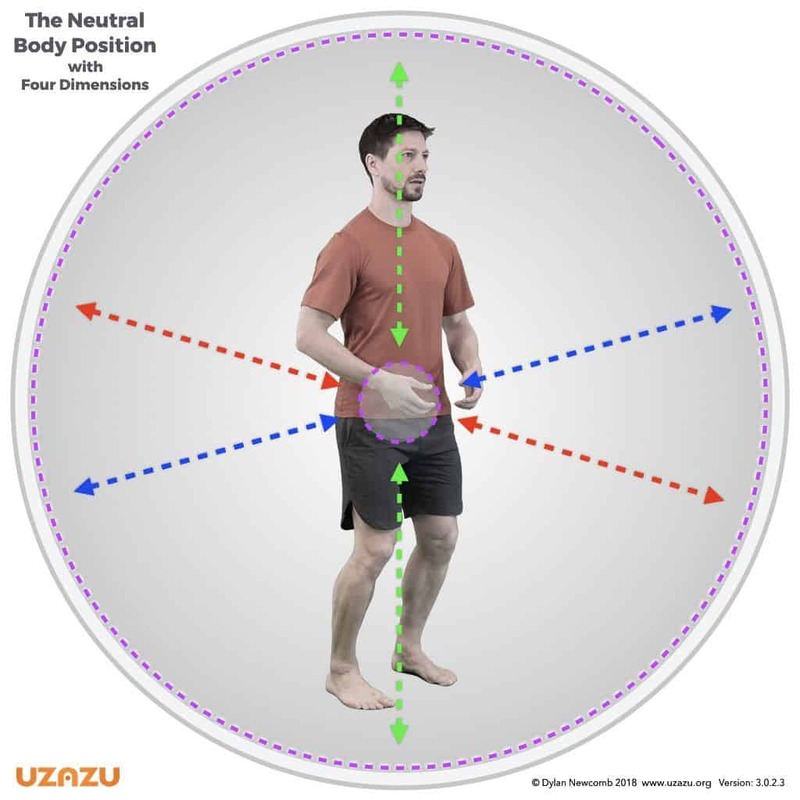 This 90-minute, highly experiential Webinar is the perfect introduction to UZAZU Embodiment. Tell Me about the FREE Webinar! Stay informed about the new articles, FREE video trainings & webinars, online courses and live workshops! Keep Me Informed of Upcoming Stuff!